I find that it is such a breath of fresh air to see a minimalistic design, when we are surrounded by a sea of opulent and over-designed wedding dresses out there. While the gown may seem simple in appearance, a lot of meticulous work went into its construction. Deigned by Waight Keller, the dress has an open bateau neckline with A-line silhouette that frames her athletic figure nicely, and the soft tailoring creates a relaxed demeanour. Since givenchy is known for their modern details, Meghan was given slim three-quarter sleeves to add hints of refined modernity. All In all, the design is a reflection of her staying true to herself, being a strong independent woman with attitude. 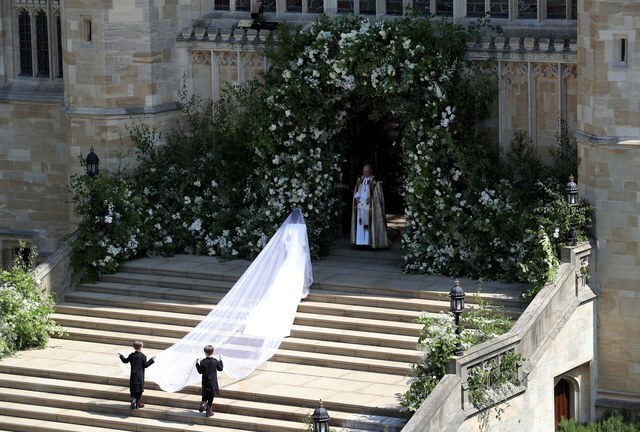 The veil was the piece de resistance of the ensemble, its such a long and dramatic train, and brought new life, as she walked towards Harry, as it caught the shafts of light and shadow. Can you imagine that it was hand embroidered with floral details representing the 53 countries of the commonwealth? It is symbolic because the commonwealth will be part of their official responsibilities. 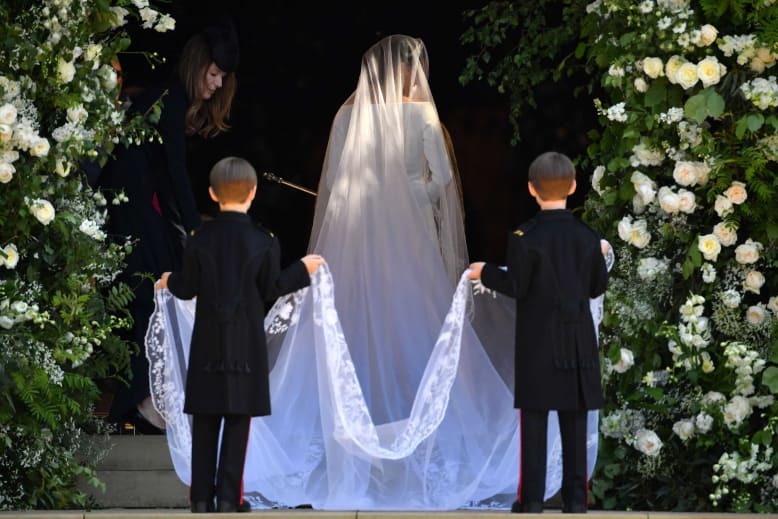 The dress is just one sign of a new beginning of change; a mixed-raced American Hollywood Star marrying a prince, a wedding sermon delivered by a black priest to give that African-American experience, and a dress that goes against the norms. Somehow the seemingly simple dress is making more of a statement, and will be remembered for a very long time. Congratulations Meghan and Harry, may your future be full of hope and peace.